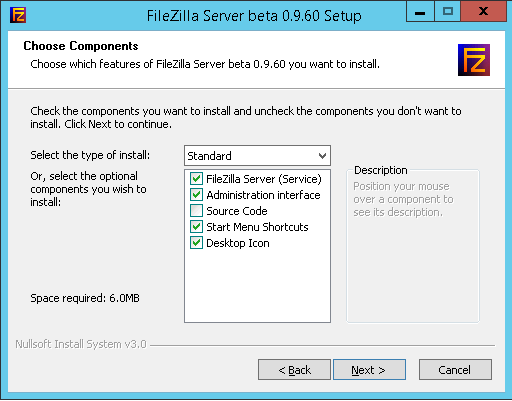 Once you download the installation file, execute it so get to installation wizard. 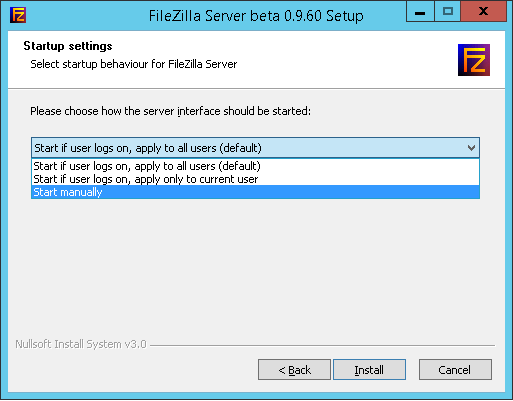 In the first step you will have to simply press "Next" to continue installation. 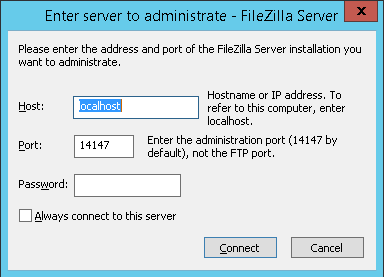 Once you press "Next", you will be presented with the window, where you will have to choose to location of the FileZilla Server installation and then press "Next" again. 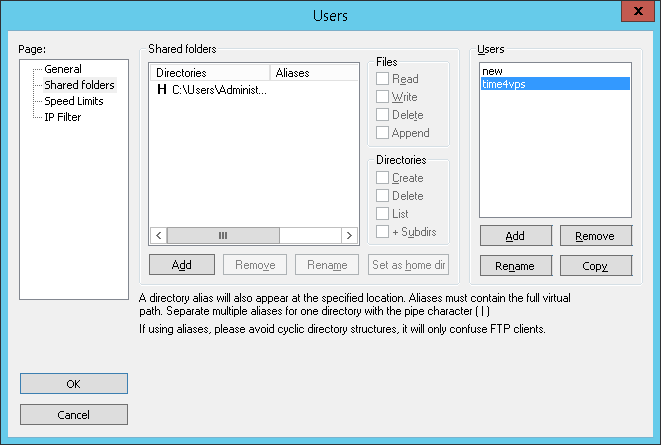 In this print-screen you can see a button "Add", which you will press in order to create a User. 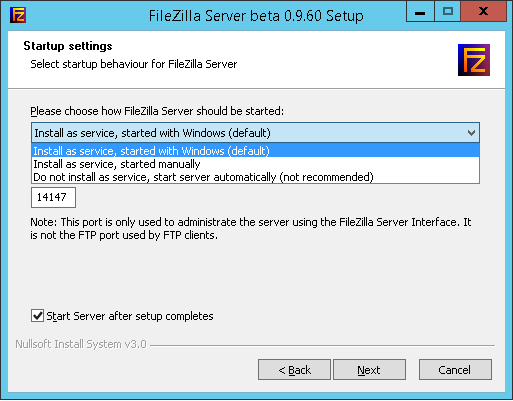 Alright, you have set up your FTP server and created user, which will be able to log int to your FTP Server and specific folders. 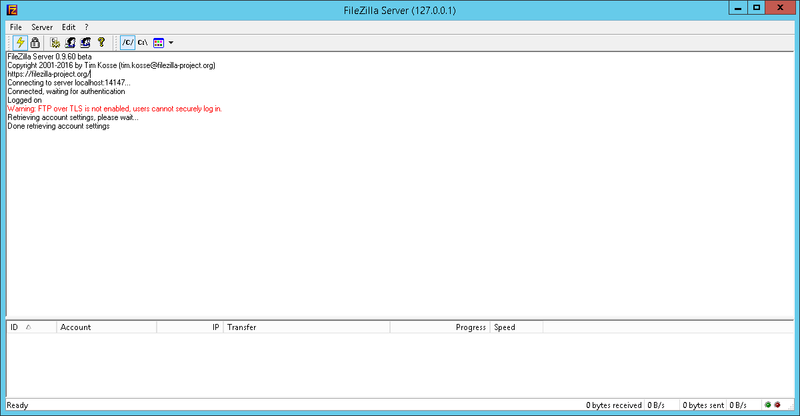 Since Windows Server is probably blocking everything, in order for your FTP Server to work correctly, you will have to allow the FileZilla Server software withing your Windows Firewall (Inbound and Outbound connections). 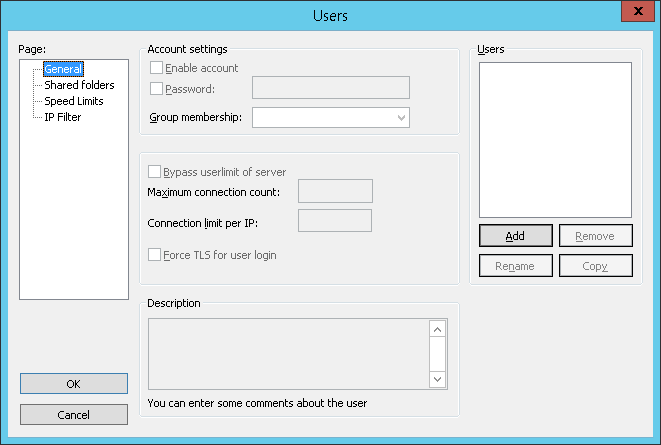 Be sure not to forget the firewall changes, otherwise your users may not connect to the server.